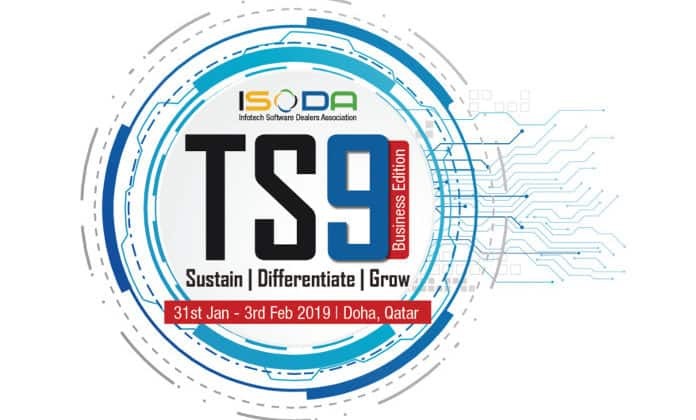 ISODA (Infotech Software Dealers Association) recently concluded its 9th edition of the highly successful summit was held in Doha, Qatar, from January 31 – February 3. The event saw several security players like Kaspersky Lab discussed their plans and opportunities before the gathered security partners. Kaspersky Lab, a global cybersecurity company, made a splash with its incisive presentation on a wide array of topics of its expertise. The ISODA Tech Summit 2019 saw almost 100 participants from India, with a cumulative turnover of over INR 4,000 crore. This summit, comprising the top players from the Indian market, was a mélange of ideas. Representing Kaspersky Lab was Anand Shringi, Channel Head – Kaspersky Lab (South Asia). He presented very interesting modules to the gathering, covering a wide area of interest. The company also introduced its revamped partner program – Kaspersky United. It is a global partner program that enables Kaspersky Lab’s partners – including resellers, service providers, and system integrators, to focus on selling the Kaspersky Lab services and products that match their own specializations. Through Kaspersky United, they receive access to education, sales and marketing tool kits and benefit from a new transparent monetary rewards scheme. The ingenious program is expected to be a game changer in the industry that is often wrought with issues of training, rewards and clarity. Shringi closed his segment with the announcement of the Kaspersky Lab Transparency Center. Kaspersky opened its first Transparency Center in Zurich, which is a facility for trusted partners to access reviews of the company’s code, software updates and threat detection rules, along with other activities. Through the Center, Kaspersky will provide governments and partners with information on their products, its security and important documentation for external evaluation. In opening the Center, Kaspersky Lab takes the one of the biggest step by any technological company towards becoming completely transparent about its protection technologies, infrastructure and data processing practices. The ISODA Tech Summit also had business workshops and use case presentations from accomplished entrepreneurs, and offered networking opportunities, seeped deep in the rich Arab business culture. The participants, including Kaspersky Lab, returned from the summit more knowledgeable and prepared to face the ever-changing technology landscape of the world. ISODA Tech Summit: Kaspersky Lab introduces global partners programs 0 out of 5 based on 0 ratings. 0 user reviews.